Poker is an interesting game that needs a lot of styles and strategies. You can plenty of poker players but you rarely find somebody who knows the history of poker and other things like the origin of it and the different styles of the game. If you research a bit you can find that different historians have different opinions about the source and real origin about poker. There used to be various different structures and styles of playing in poker. With time and age the game has changed a lot. It has evolved in many ways. But the truth is that most of the experts do believe that poker has derivates in many ways from its original form. Poker has changed a lot in these years. When the first time people started playing poker it was different but then it went through plenty of variation and new strategies also started getting invented then. In French there was a very popular game called Poque. It was played by most of the people of that time. It was an easy card game. Many historians think that poker was actually originated from this game called Poque that too almost thousands year ago. They also think that poker came to United States nearly 600 years ago from France and then became immensely popular in every century. Jonathan Green has written a script in the year 1835. It was related to poker and he was well known that time. He said there that the game poker was very popular in Mississippi and people used to play it even on the boats. Jonathan called this game as the cheating game. He even described the game and from there we can assume that it was something like 5 cards poker. You do not get any community cards here and it depends on your skills to read your opponents hands. Bluffing plays a crucial part in 5 cards poker. Most of all you need immense courage to continue and win 5 cards poker. But overall, you must know to read your opponent and their reaction. Once you can control that you can control the game. May be for that reason Jonathan named this game as the cheating game. In California Draw poker was the popular poker form. 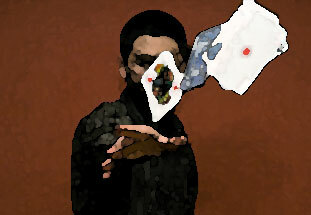 It was based upon skills and there was lesser chance of bluffing or any types of tricks. That was something helped the people and even the attorney general to love and play it. In the year 1970 the first poker World Series took pace At Binion’s Horseshoe casino. There were 7 players who participated in this tournament. Among all of them it was Johnny Moss who won that first World Series. Today you can find plenty of online poker sites. Even a few decades ago it was not possible at all. Poker has changed a lot and achieved a great high for sure. You can find all types of pokers like seven stud, draw poker, Texas Holdem, horse, Omaha and whatever you like online. Technology has really made many impossible things possible.